Your Domain Needs an SPF Record! If you have recently exp erienced emails to btinternet.com bouncing back into your inbox then we have a solution for you, and even if you haven’t we would advise you continue to read and take the following action anyway. 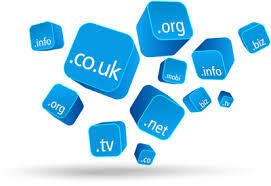 A recent change by BT now means that unless your domain (e.g. administersoftware.co.uk) has an SPF (Sender Policy Framework) record, then emails will be refused and will therefore be returned to you! “Sender Policy Framework is a simple email-validation system designed to detect email spoofing by providing a mechanism to allow receiving mail exchangers to check that incoming mail from a domain comes from a host authorised by that domain’s administrators” – see https://en.wikipedia.org/wiki/Sender_Policy_Framework for further information. Many thanks to John Lomas Removals & DC Groves & Son for alerting us of BT emails bouncing back using our mail exchange from within Move Administer.